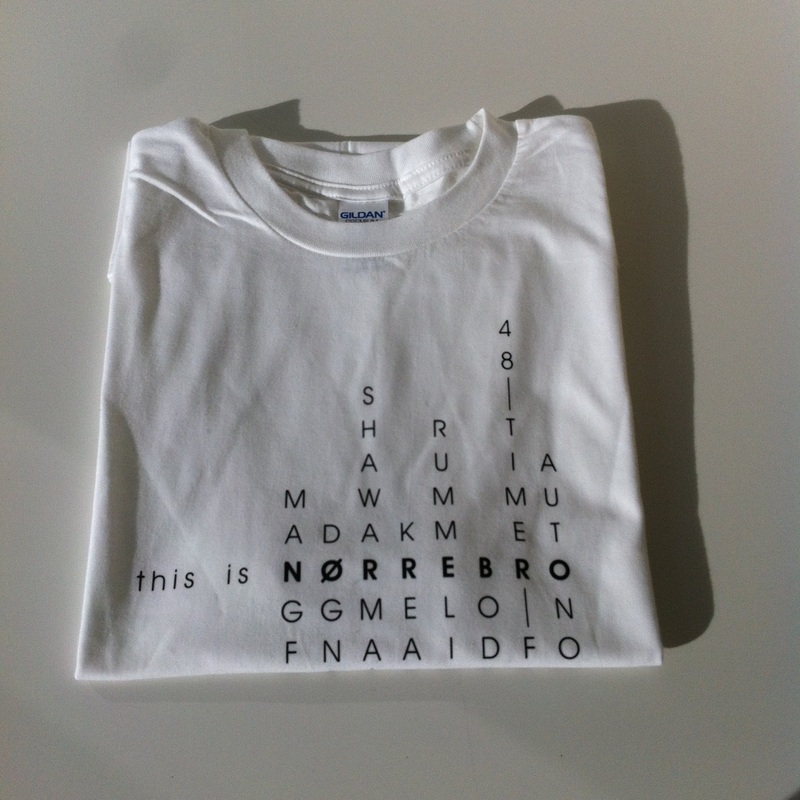 This tshirt defines Nørrebro district in Copenhagen through keywords unique to Nørrebro. Each letter that makes the word “Nørrebro” is used vertically for a concept that best portrays Nørrebro’s culture. We selected keywords among many that best describes Nørrebro: mangfoldighed, døgnåben, shawarma, kreativ, rummelighed, bodega, 48 timers festival, autonom. 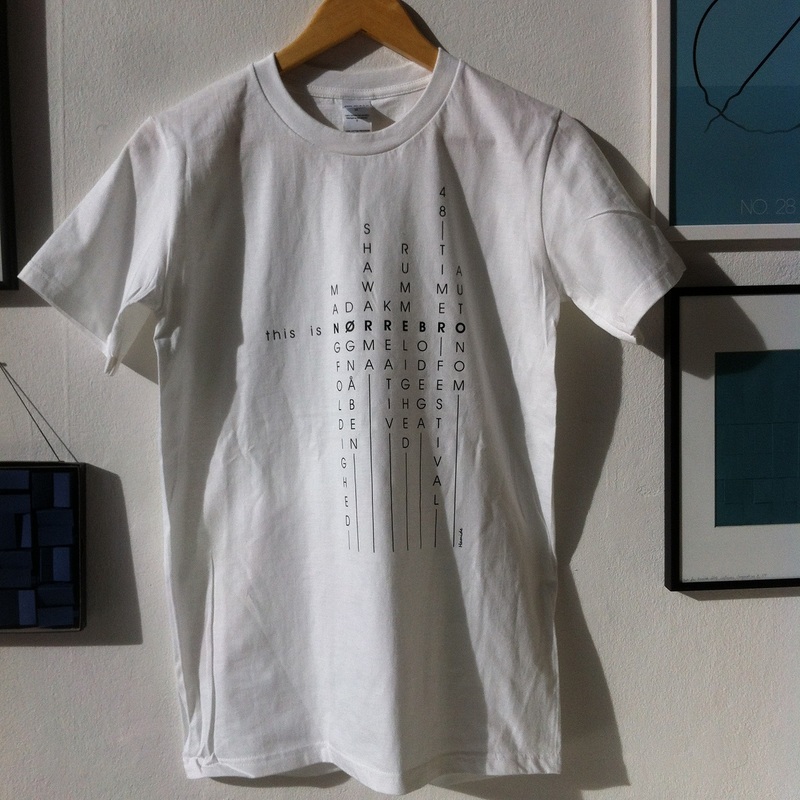 The tshirt was designed for the 48 Timers Festival, which takes place in Nørrebro every year in 2017 spring. The design was chosen as one of the finalists for its ability to portray Nørrebro and its culture. Designed by Şeyda Özçetin & Seda Özçetin in 2017. Inspiration: Soul of City_Copenhagen” is a collection about our perception of Copenhagen and its culture. It aims to present the patterns we observe, the elements we find unique, and the keywords we associate with Copenhagen. 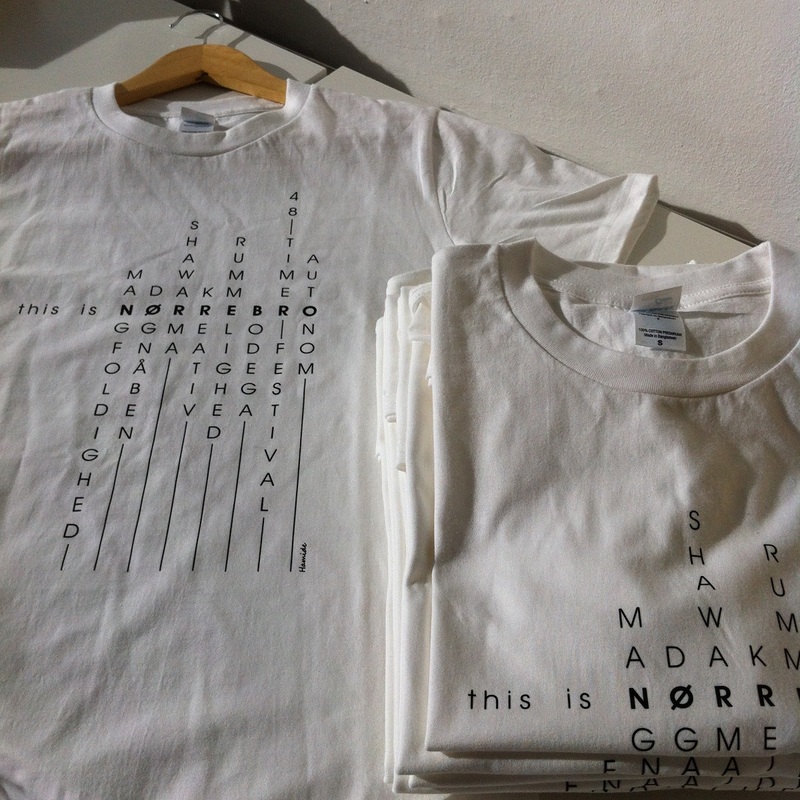 Description: This tshirt defines Nørrebro district in Copenhagen through keywords unique to Nørrebro. Each letter that makes the word “Nørrebro” is used vertically for a concept that best portrays Nørrebro’s culture. We selected keywords among many that best describes Nørrebro: mangfoldighed, døgnåben, shawarma, kreativ, rummelighed, bodega, 48 timers festival, autonom. The tshirt was designed for the 48 Timers Festival, which takes place in Nørrebro every year in 2017 spring. The design was chosen as one of the finalists for its ability to portray Nørrebro and its culture. Size: S, M, L, and XL. We have only 8 pieces of this tshirt.